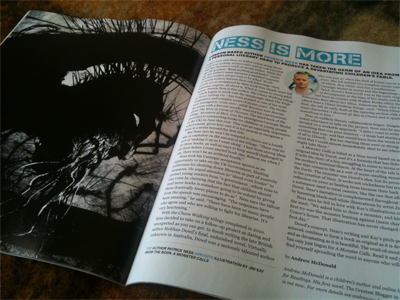 Hi all, just a quick note to let you know that the books pages of the cur­rent issue of The Big Issue — the inde­pen­dent Aus­tralian mag­a­zine sold by friendly ven­dors all over the place (and hope­fully near you) — are guest edited by yours truly. 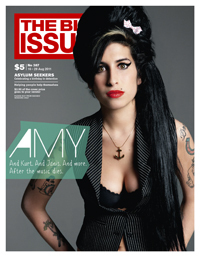 I think it’s awe­some that The Big Issue gives over so many of its pages to kids’ and YA books dur­ing Book Week, so do grab a copy (with poor old Amy on the front cover) if you see one when you’re out and about this week. I was watch­ing a news report of 96-year old artist Dickie Miny­in­tiri win­ning the National Abo­rig­i­nal and Tor­res Strait Island Art Award last week and couldn’t help but gawk wide-eyed when the cam­eras showed us his and a hand­ful of other art­works that had been nom­i­nated for the prize. They’re cur­rently on dis­play at the Museum and Art Gallery of the North­ern Ter­ri­tory and you can view them online too – it’s worth tak­ing a few moments to browse through. They’re beau­ti­ful, strik­ing pieces of art and I remem­ber sit­ting there think­ing, I have no idea how the judges set­tled on one piece of art when each looks to be its own unique and won­drous beast. And I realised I’d done exactly that myself only a month or so ago when I judged the Young Adult cat­e­gory of the Vic­to­rian Premier’s Lit­er­ary Awards. No doubt judg­ing indige­nous art seemed like a her­culean task to me because I don’t have the same expe­ri­ence and cul­tural ref­er­ence points that I do for teen lit­er­a­ture, although Aus­tralian YA also had its fair share of unique and won­drous beasts pub­lished over the past year. 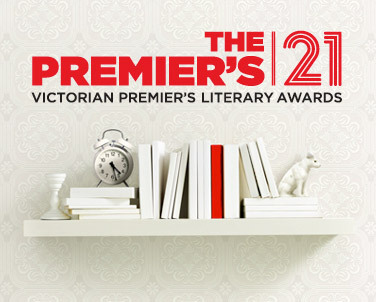 The actual judg­ing of the Vic Premier’s awards with Mike Shut­tle­worth and Leesa Lam­bert of The Lit­tle Book­room was a blast. With so many books to dis­cuss, each meet­ing we had was like tak­ing part in a book club on steroids. There were opin­ions fly­ing every­where, books being waved pas­sion­ately about in the air and a truck­load of fun being had (by me any­way, who knows what Mike and Leesa thought of all my opin­ions and book waving). One of the most pleas­ant things about judg­ing the awards was read­ing each of the 70 or so books we were sent and for each one think­ing: Yep, I can see who the reader of this book would be. It’s for adven­tur­ous boys with a sen­si­tive side, it’s for slightly with­drawn girls aged 13–15, it’s for ‘class clowns’ at around 14 years, etc. Not that match­ing a per­ceived audi­ence to a book is part of the judg­ing process, and maybe it’s the tiny bit of book­seller inside me, but I found it com­fort­ing as I read through the books to match each one up with a reader in my mind. I read a lot of teen fic­tion over the course of two months and got a pretty good idea of the spread of YA pub­lish­ing in Aus­tralia at the moment. It was par­tic­u­larly cool to see the rise of the urban fan­tasy novel, as noted in our judges’ obser­va­tions, where we were also able to name drop some nov­els that didn’t make the short­list, namely Lili Wikinson’s A Pock­et­ful of Eyes, Mar­i­anne de Pierre’s Burn Bright, Scot Gardner’s The Dead I Know, Rebecca Lim’s Mercy, Rebecca Burton’s Beyond Evie, Leanne Hall’s This Is Shy­ness, Ursula Dubosarsky’s The Golden Day and Laura Buzo’s Good Oil. Hooray for all of these books. They deserve to be bor­rowed from libraries, writ­ten on shop­ping lists and marked as ‘to-read’ on book­wormy social net­work­ing sites. 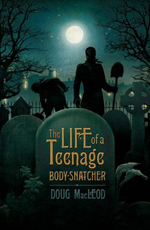 But of course the biggest to-dos must be saved for the three books on the short­list: The Life of a Teenage Body-Snatcher by Doug McLeod, The Three Loves of Per­sim­mon by Cas­san­dra Golds and Graf­fiti Moon by Cath Crow­ley. 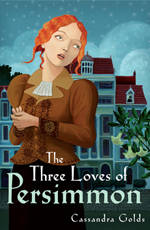 Three highly orig­i­nal nov­els, each more than wor­thy of win­ning the over­all YA award. 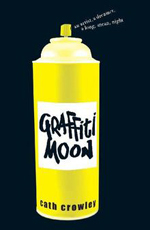 I’ll be at the awards din­ner next month, cheer­ing all three of them on – even though I already know who wins. I had the plea­sure of going out to Moorool­bark a few days ago to visit grades 3, 4, 5 and 6 stu­dents at St Peter Julia Eymard Pri­mary School to talk all things authorly, pass on some writ­ing tips and debate who is the best foot­ball team (North Mel­bourne, of course). 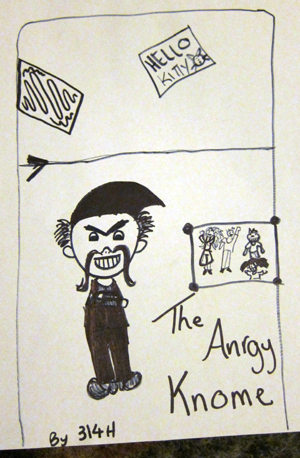 The kids wrote some super short sto­ries together and illus­trated book cov­ers to go with them too. They were an ener­getic bunch and we came up with a cou­ple of pretty com­pelling tales. Here they are for your enjoyment. There once lived an angry gar­den gnome lonely inside. The gnome looked out­side and saw all the other, colour­ful happy gnomes. He was angry that he couldn’t be like them. So he started wear­ing black over­alls and a black T-shirt and a black top hat which unim­pressed his own­ers so they put him out­side and his clothes turned colour­ful and his mous­tache turned orange. Fred was a sci­en­tist. 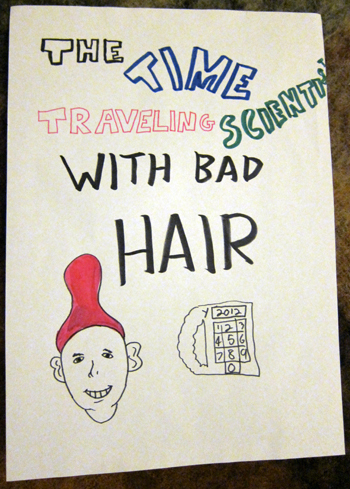 He was very smart but had lava lamp hair. He built a time machine in his back­yard and went back in time to his most recent hair­cut. Turns out, it was him­self cut­ting his own hair. He ends up giv­ing him­self a con­cus­sion with the lava lamp that inspired his haircut. Andrew McDonald is an author, writer and biped from Melbourne, Australia. 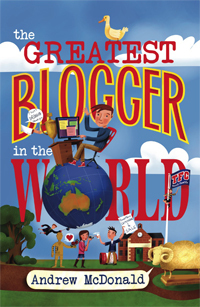 His first novel for children is called The Greatest Blogger in the World. Buy it online.